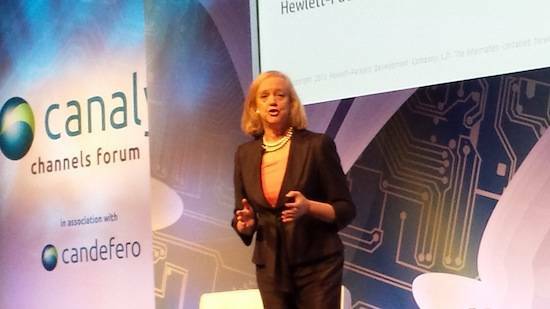 Canalys Channels Forum HP CEO Meg Whitman has told the Canalys Channels Forum in Bangkok that the company will enter the 3D printer market in the middle of 2014. "We are excited about 3D printing," Whitman said, adding that it is a natural business for HP to enter given its heritage in printers. "We want to lead this businesses. HP labs is looking at it." The things HP's boffins are considering is the time it takes to print an object. "To print a bottle can take eight to ten hours. That's all very interesting, but it is like watching ice melt," she said. Lower cost is also on the agenda. "3D printing is in its infancy" she said. "It is a big opportunity and we are all over it. We will have something by the middle of next year." That "something" will be aimed at service providers to help them establish 3D printing bureaux. Whitman said HP is asking "how do we commercialise to print faster, at lower price points?, to enable service providers?" Whitman did not say just what form HP's 3D printing product will take, over than to say it will be a "new technology". She added that she does not expect 3D printing will quickly become a big business.